Mary Nightingale – ITV News Presenter, Conference Host and Facilitator. Mary Nightingale presents ITV1’s Evening News, and has twice been named Newscaster of the Year by The Television and Radio Industries Club, TRIC. Mary joined ITV’s News casting team in 2001 and won the accolade the next year, and again in 2004. Mary anchored ITV’s flagship holiday programme Wish You Were Here from 1999-2001 and also presented The Really Good Food Show, I-Spy and Most Wanted. She’s voiced two series of Real Bad Girls for ITV and hosted her own programme for Classic FM entitled Dreaming Aloud – a series of intimate interviews with guests including Stephen Fry and Gordon Ramsay. 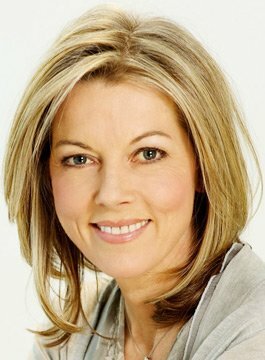 Mary Nightingale started her journalism career as a presenter and writer on World Business Satellite for TV Tokyo – a live daily business bulletin. She then joined BBC World Service’s World Business Report as a presenter and writer, covering economic and corporate news, including interviews with analysts, economists, plus regular live two-way links with overseas correspondents. Prior to embarking on a career in broadcasting Mary was a Eurobond Dealer and Salesperson from 1986 -1990, initially at the Bank of America International and then Tokai International, dealing with European Banks and Investment Funds. PriceWaterhouseCoopers, FT Business, UK Business Excellence Awards and The Sunday Times 100 Best Companies. She has also chaired conferences and hosted panel debates for KPMG and Peugeot, and interviewed CEO’s from companies such as HSBC and ABBEY.